8 Things You’ll Totally Get If You’re “Half Punjabi”! Yes, being HALF Punjabi is a very real thing. It's this crazy phenomenon where one of your parents is of Punjabi origin and the other is not. And while you may think this is very normal - um, you'll think differently after reading this! 1. You (more often than not) just say that you're Punjabi. It's just so much easier than explaining the entire story about being a half punjabi, half something else and people generally don't question further in this case. If they happen to be around when you claim to be Punjabi, you guys end up having the same debate you've had a million times before about how you're not a "real" Punjabi. 3. You live in a house divided! Your house basically has developed a split personality by now. While your non-panju parent tries to keep things looking very contemporary, a little bit of punjabi style manages to sneak in just about everywhere!! 4. You can't talk the walk. While you've grown up listening to full-on proper Punjabi conversations, when it comes to actually having one yourself - you're aren't so great at it. At least you understand all the Honey Singh numbers! More or less. 5. Your parents are pretty hilarious too! Being at home is like being on a comedy show sometimes. Your parents can turn a super normal and boring conversation into the most entertaining battle! And, yes, there is one loud parent!! You seriously can't keep up with the different kind of customs anymore! "But beta, in Punjabi families we do things like this!" and "Arre, no, no, Punjabis mein yeh sab nahi karte!". OKAY, then, might as well give in! 7. The Punjabi power is real! Your Punjabi relatives alternate between treating you as traitor (just in jokes, okay!) and fussing over you as if you were their only child. It has you thinking, "even being HALF punjabi is enough for me, auntiji!" 8. You're Punjabi by nature, yaar. Well, you might as well be full punjabi since that's obviously the more dominant part of your personality! And you’ve got all the good stuff from that side too - you can randomly be happy and break into bhangra like a pro! What more do you need from life?! GIFs: Giphy, Tumblr HAVE A STORY IDEA FOR POPxo? If you want to hear about it, we can write about it! Just tell us your idea here! MUST-READ: Punjabi vs Sindhi: Who’s Got The Most SWAG?! 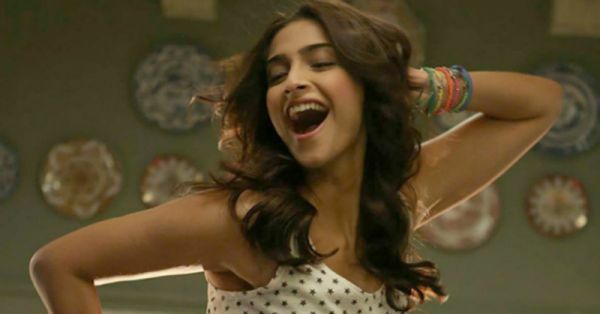 MUST-READ: 11 Reasons Every Girl NEEDS A Punjabi Bestie! !